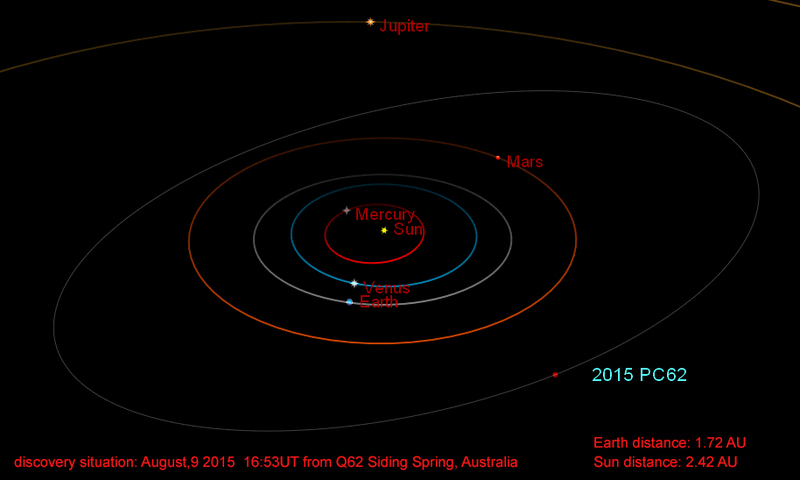 The asteroid's Perihelion was on April,20.3 2015 in 2.369 AU distance to the Sun. Its period is 4.71 years. 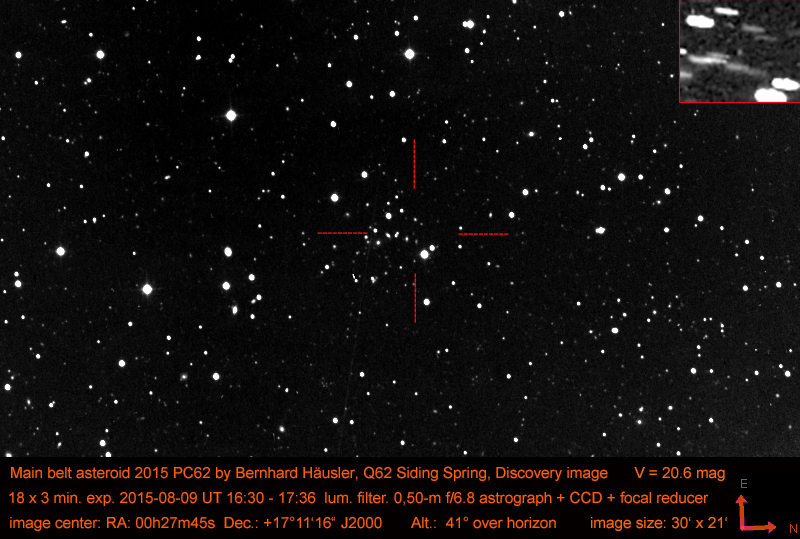 From 62 observations 2015 Aug. 9-Oct. 13. E-assumed. 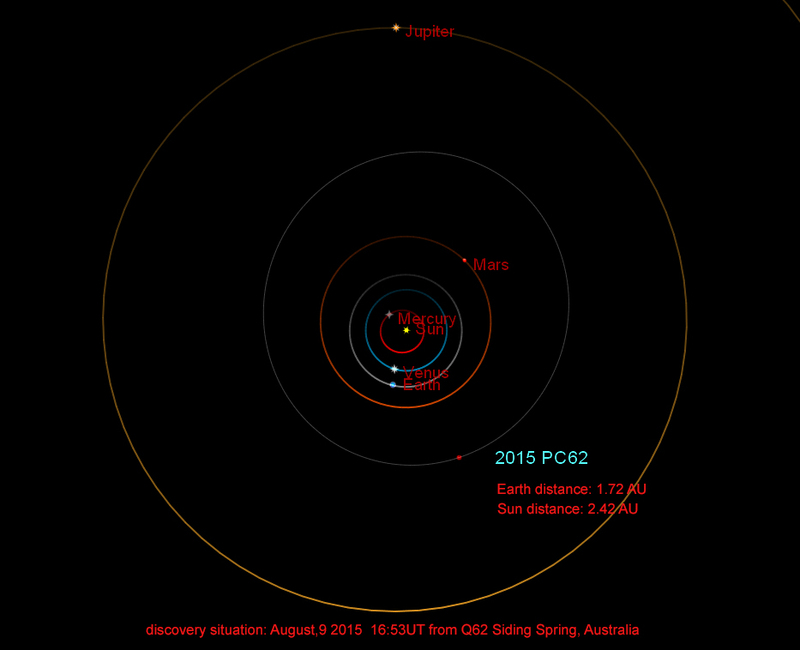 Last observed on 2015 Oct. 13. Ephemeris below based on elements from MPEC 2015-T96. top of this page Here you find a Calculator for possible crater sizes and energy sums.